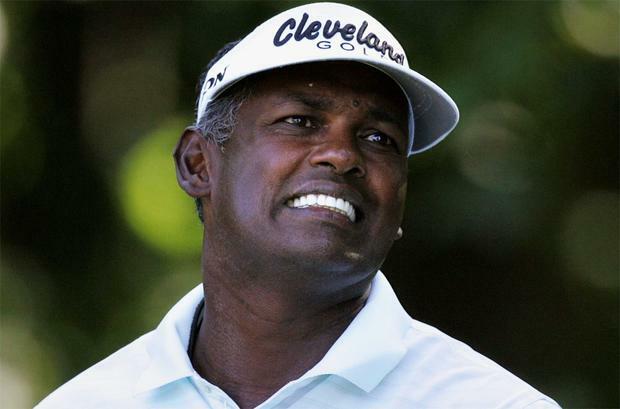 Vijay Singh and the PGA Tour have settled a legal dispute dating back to his suspension five years ago. The Tour suspended Singh in 2013 after the Fijian admitted in Sports Illustrated magazine that he had taken deer antler spray, which contains a substance (IGF-1) that is banned under the PGA Tour Anti-Doping Policy. Singh's ban was later rescinded, but the 55-year-old filed a lawsuit against the Tour, claiming his reputation had been damaged after being wrongfully suspended and the matter had been expected to go to trial. In a joint statement the Tour and Singh said: "The PGA Tour and Vijay Singh are pleased to announce that we have resolved our prior dispute. "The PGA Tour recognizes that Vijay is one of the hardest working golfers ever to play the game, and does not believe that he intended to gain an unfair advantage over his fellow competitors in this matter. "Vijay fully supports the PGA Tour's Anti-Doping Program and all efforts to protect the integrity of the game that he loves so much."